Amanda Kruczynski first started fostering pets about five years ago. She volunteered her time, and as Kruczynski opened up her home to pets in need, she was given an important bit of advice: "There is good in goodbye." For fosters, whose ultimate goal is to care for pets and prepare them to find forever homes of their own, the sentiment is true. Sometimes the pets need care until they're old enough to go into homes on their own, and sometimes they need socialization, training or other help to make them more suitable as pets. 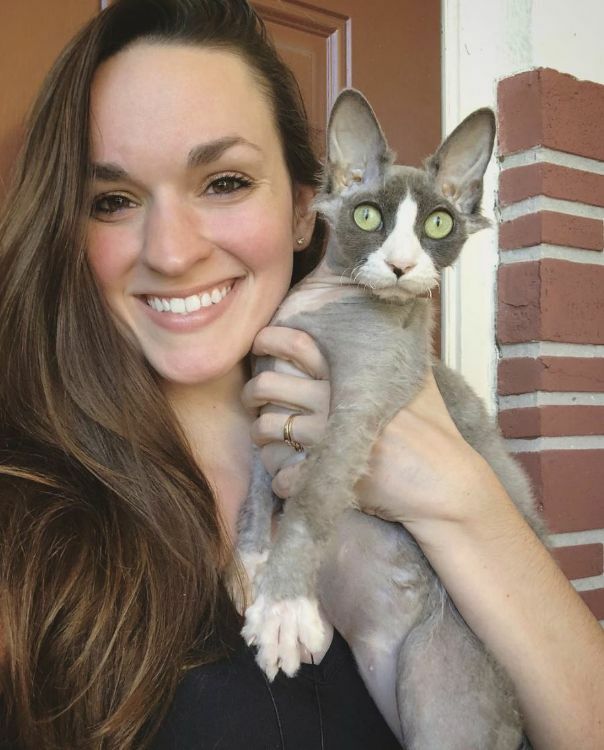 Although Kruczynski fostered pets knowing that a goodbye would ultimately come, she never imagined one special kitten would change her life. About a year ago, Kruczynski met Meeseeks. The curly haired kitten and his family were discovered in a cardboard box in the rain. The whole family was brought to Broward (Fla.) County Animal Care, but they needed a foster home before they would be ready for adoption. When Kruczynski arrived at the shelter the next day, she learned of the feline family in need and immediately volunteered to help. 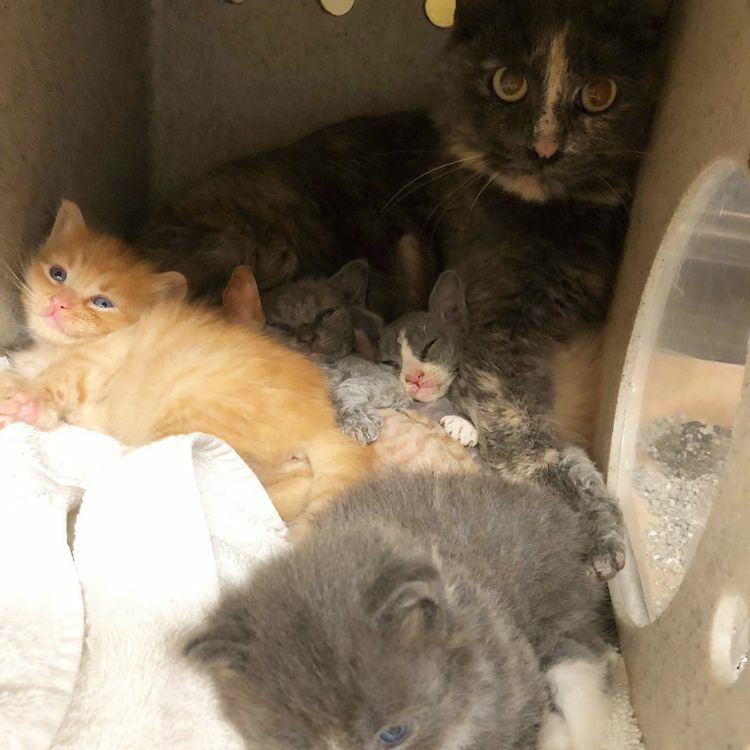 Meeseeks' mother, who tested positive for the feline immunodeficiency virus, or FIV, was a long-haired diluted tortoiseshell. Meeseeks' siblings were long-haired, too, but Meeseeks was a bit different. 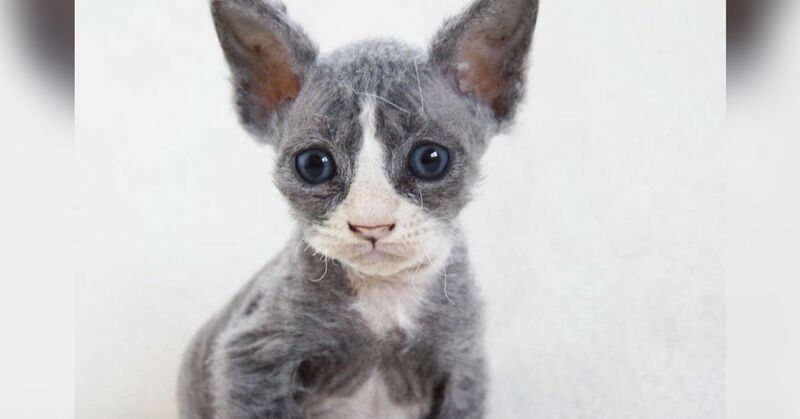 He appeared to be a Devon Rex mix. In addition to looking a bit different, Meeseeks was also much smaller than his siblings. 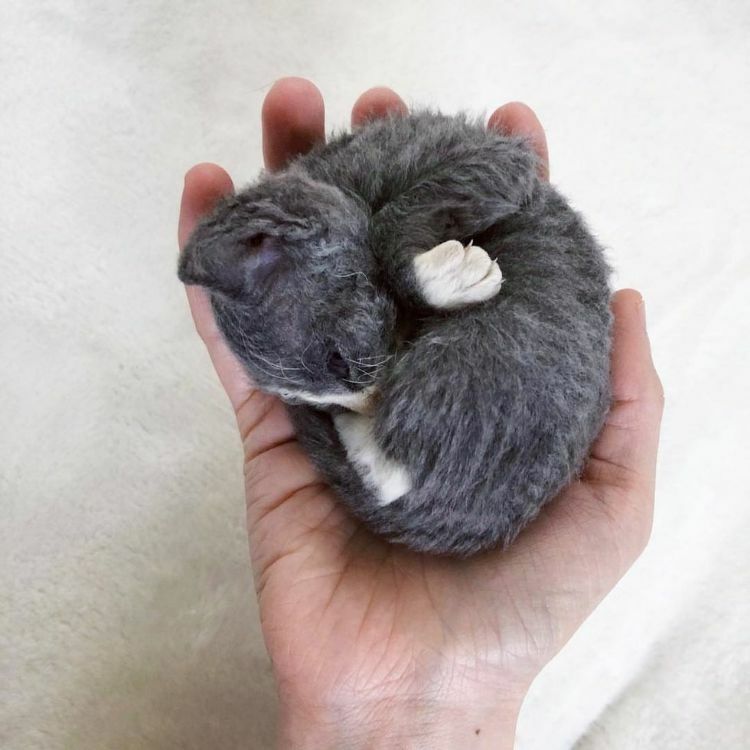 The tiny kitten weighed less than half a pound and was so small that he fit in the palm of a hand. For the first few days, all Meeseeks wanted was to be cuddled. Meeseeks quickly became attached to Kruczynski, and he started to follow her around the house. The inquisitive cat watched her constantly and wouldn't let her go into a room and leave him behind. 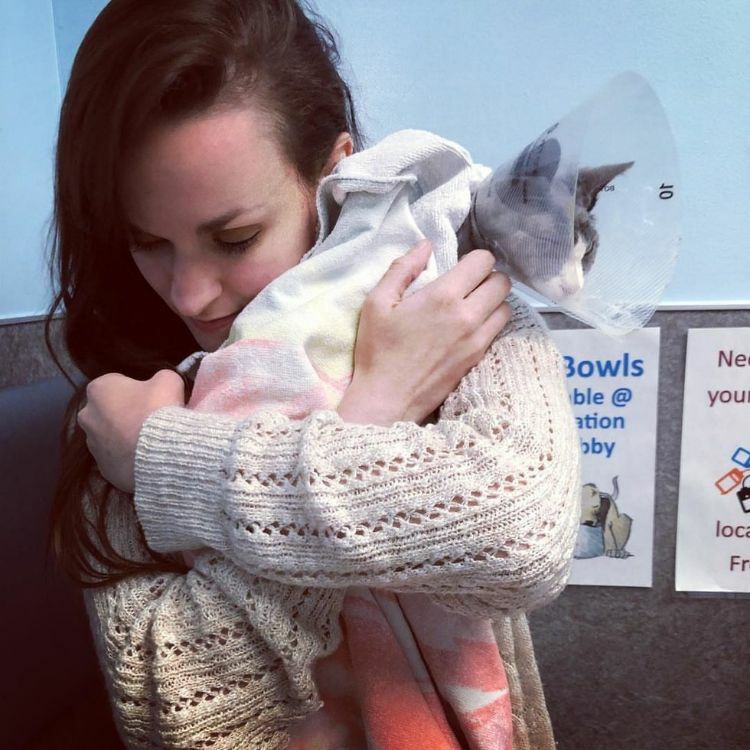 Unfortunately, after a few weeks Kruczynski and the kittens received devastating news: the kittens had tested positive for feline panleukopenia, or FP. The disease is almost always fatal in young kittens. But Kruczynski was determined to fight for the kittens' survival and give them the best shot possible at life. Treatment was intense, and the kittens required round-the-clock care. But, miraculously, after a week under Kruczynski's care, all of the kittens survived. 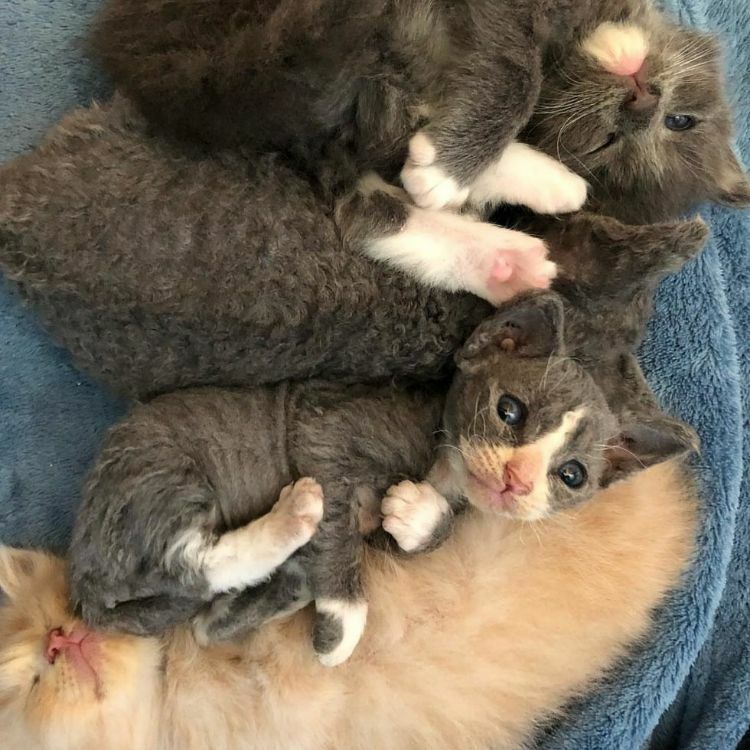 Because Meeseeks was the runt of the litter, his chances of survival were the slimmest. But he pulled through, too, seeking out Kruczynski for comfort. 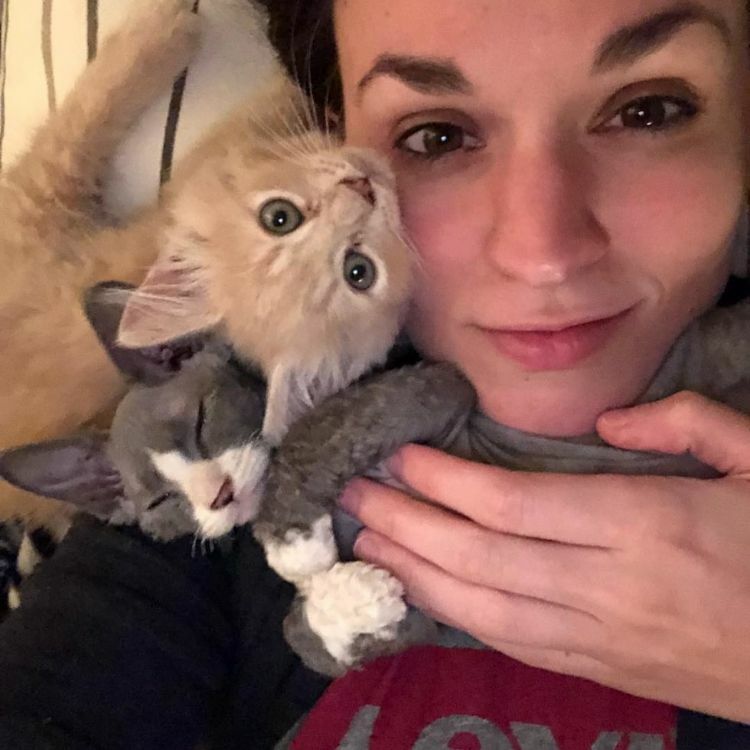 Once the kittens were old enough to be adopted, Kruczynski brought them to the shelter and prepared herself for the goodbye she knew was coming. Though she had never before hesitated in saying farewell to the pets she'd previously fostered, Kruczynski looked down at Meeseeks and knew she couldn't give him up. 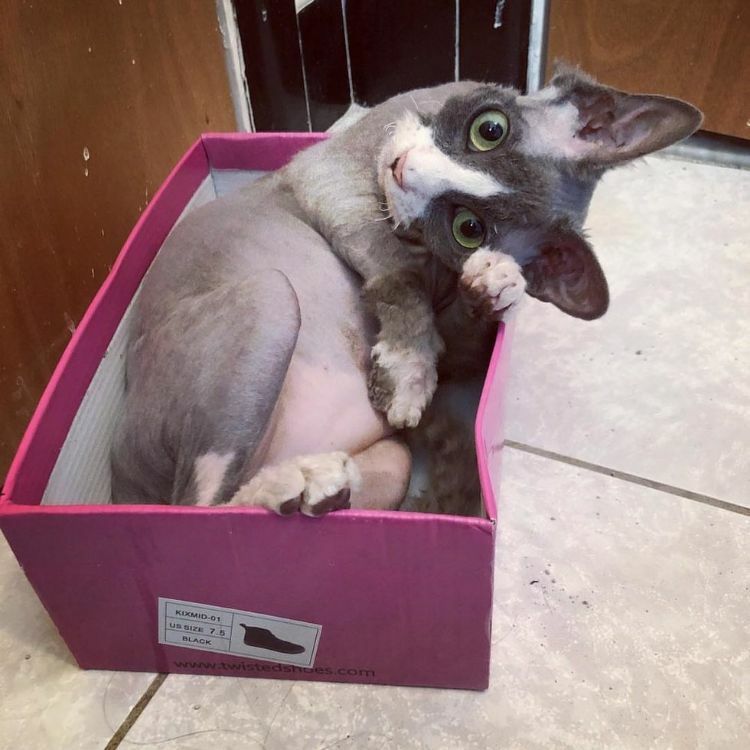 Kruczynski adopted Meeseeks, and it turned out her decision was a wise one for an unexpected reason. Meeseeks had a health condition that wasn't detected when he was a young kitten, and he would need to rely on Kruczynski's care for the rest of his life. Meeseeks had been to the vet multiple times, but it was clear something was seriously wrong with the kitten and his health began to quickly decline. 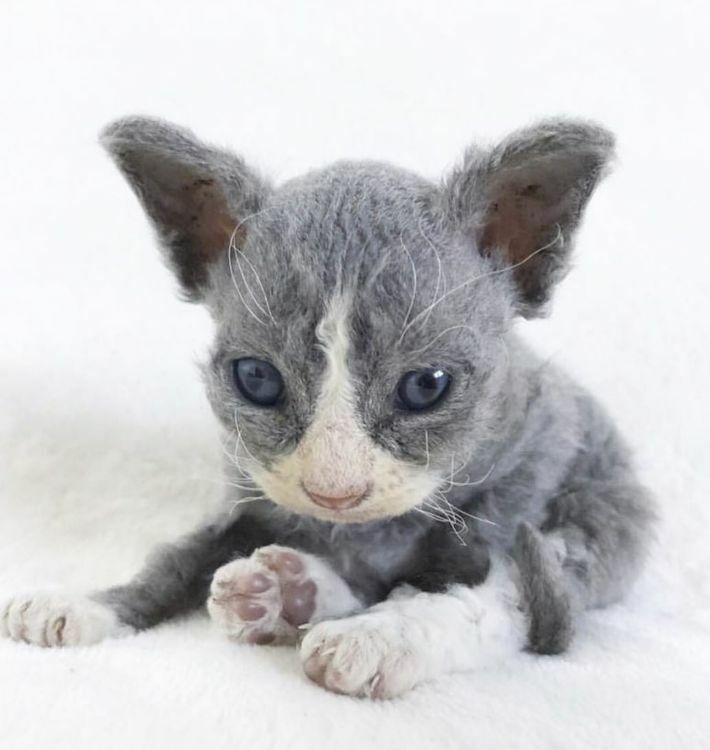 The kitten fought aspiration pneumonia three times, underwent an exploratory laparotomy and was even misdiagnosed with cancer before the right diagnosis was finally made: Meeseeks had feline gastrointestinal eosinophilic sclerosing fibroplasia, or FGESF. The disease affects Meeseeks' ability to keep food in his digestive system. 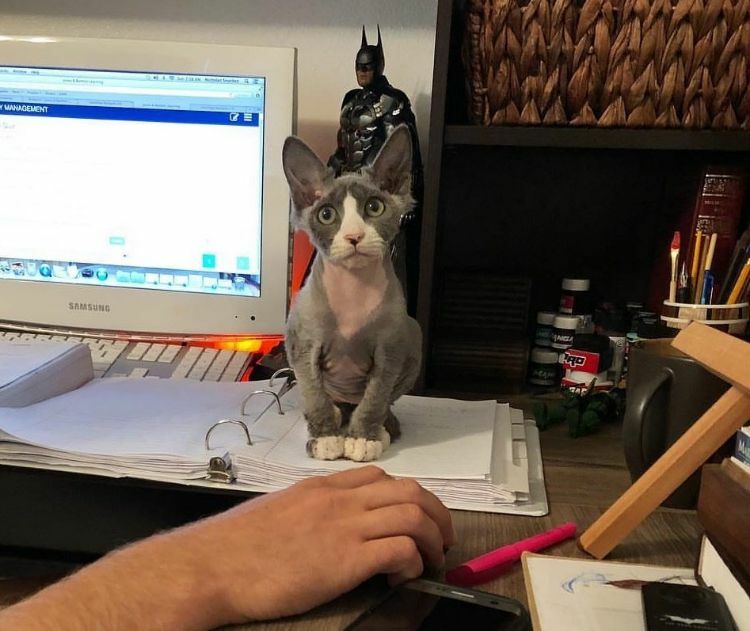 It's a fairly new inflammatory disease, and new treatments are being developed, so Meeseeks' vet checks regularly to make sure the kitten is on the newest treatment. Unfortunately, the disease means there's no way to predict Meeseeks' life expectancy. Meeseeks, who will live with the disease for the rest of his life, receives daily steroids, weekly B12 injections and anti-nausea medication to help manage the condition. 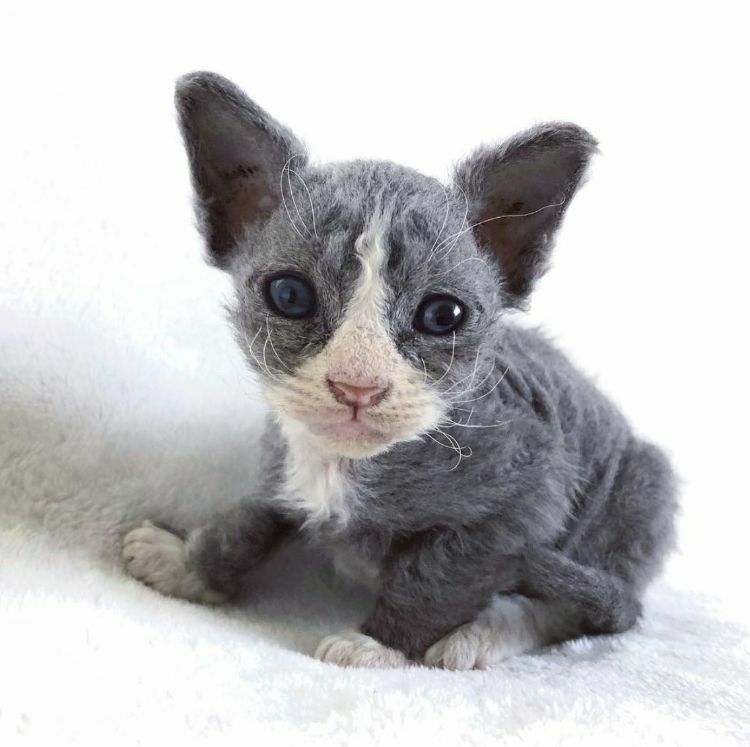 Meeseeks has already proven that he's a fighter, and with Kruczynski's excellent care, this special kitten is sure to battle this disease. Despite these challenges, Meeseeks is always in good spirits, and Kruczynski appreciates every day she has with him. Meeseeks loves to chase a laser pointer or will spend hours perched on a window. As for Meeseeks' attachment to Kruczynski? It hasn't decreased in the slightest. 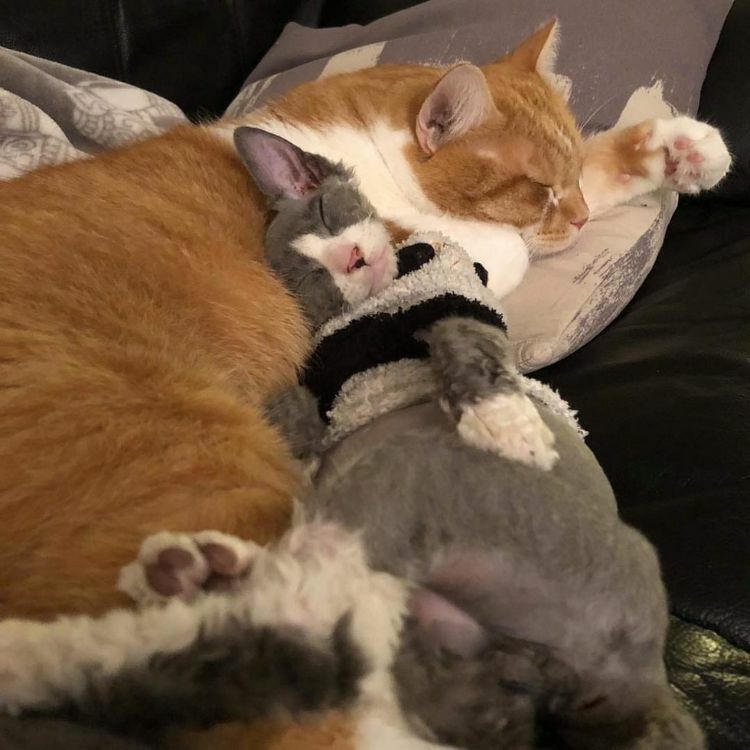 He still follows her from room to room and snuggles up with her when she goes to sleep at night. He loves to cuddle just as much as he did when he was a young kitten. Meeseeks may be a bit larger now, but his habits and love for Kruczynski are still very much the same.